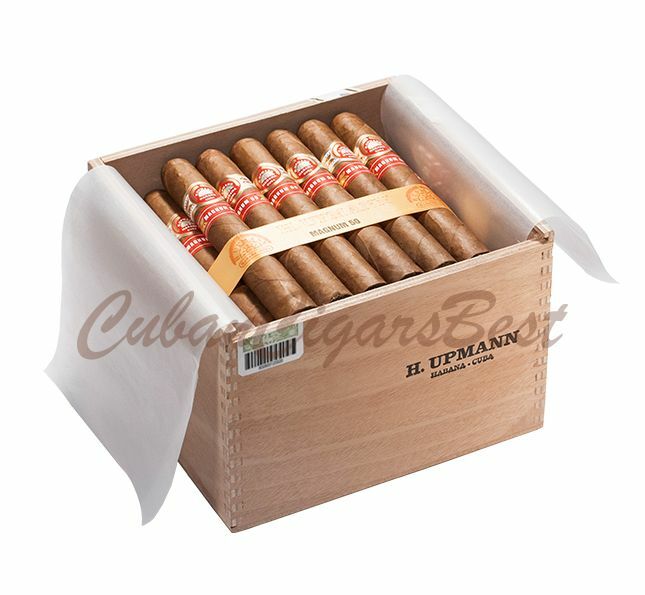 The H. Upmann Magnum is now in a cabinet of 50! Grown from the sunlit lands of Cuba, the H. Upmann Magnum is made from the highest quality tobacco that there’s no doubt that the cigar itself is of the same quality. The Magnum delivers a mild strength smoke with an extraordinary blend of sweetness and woody flavors of coffee beans with notes of cinnamon. The cigar appears neat with solid firmness and good draw. With its appearance and richness of flavor, this brand is worthy of being included in every humidor.